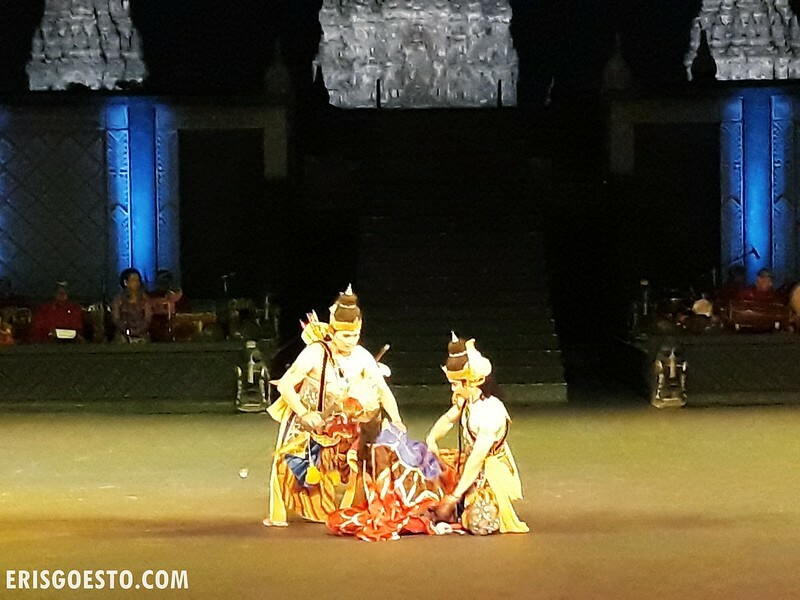 If you’re big on culture and the arts, then the Ramayana Ballet @ Prambanan is a MUST-SEE when visiting Yogyakarta in Indonesia. 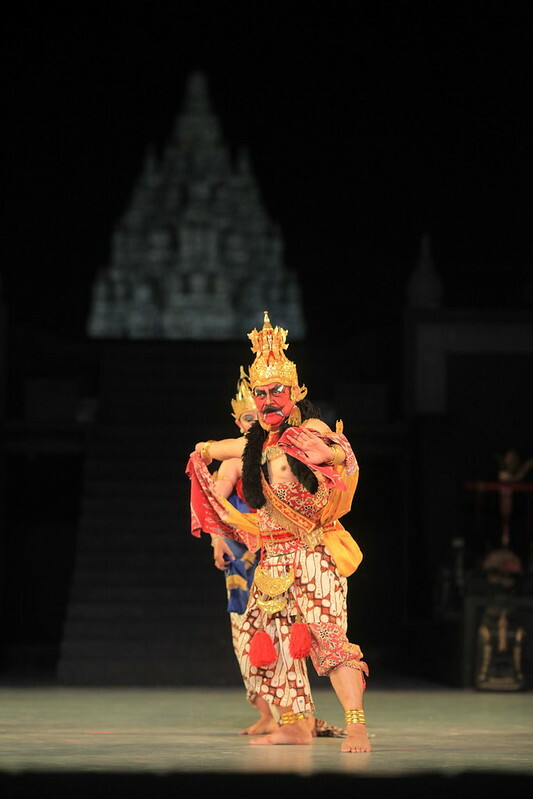 A unique blend of Javanese dance and Hindu mythology, the performance is based on the Hindu epic Ramayana – and chronicles the tale of Rama, the Hindu prince on a quest to save his wife Sita from the clutches of an evil demon king. 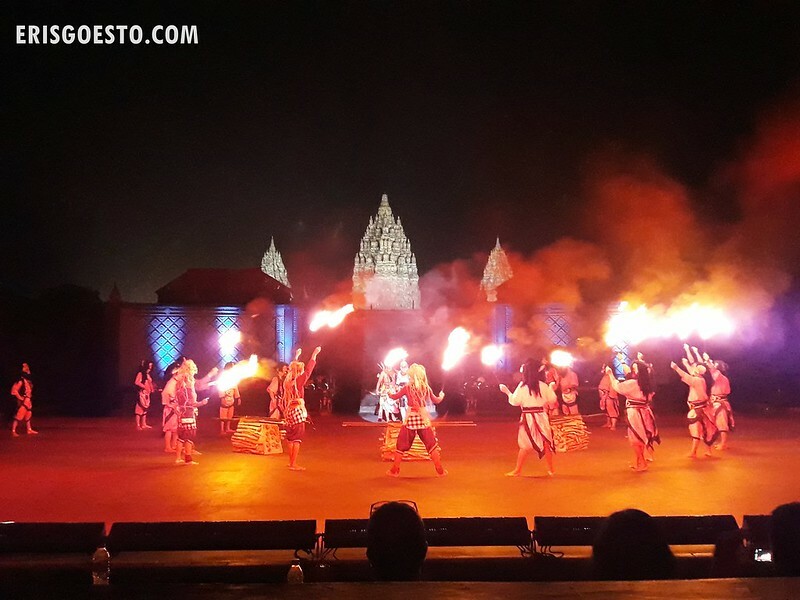 The show is held in an open-air amphitheatre against a gorgeous backdrop of the Prambanan Hindu temple – a UNESCO World Heritage site – which adds to the mystery and exotic allure of the entire performance. 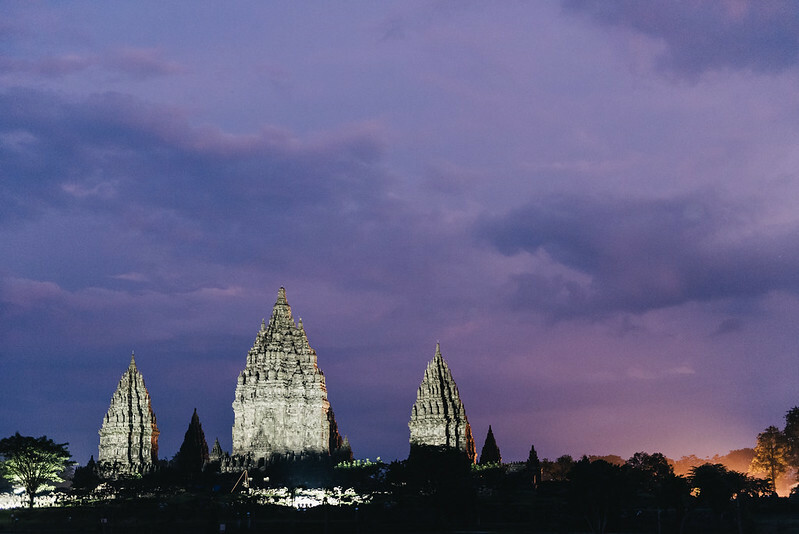 The majestic Prambanan temple complex dates back to the 9th century and is dedicated to Trimurti, the expression of God as the Creator, the Preserver and the Transformer (Brahma, Vishnu and Shiva). There are hundreds of smaller shrines within the compound, but the main one towers over 47 metres into the air and features intricate reliefs and carvings – one of which is the epic Ramayana, of which the ballet is based on. The 2-hour show is divided into two parts, with an intermission. Although it doesn’t have dialogue, there are screens explaining the ‘scene’ on both sides of the amphitheatre. 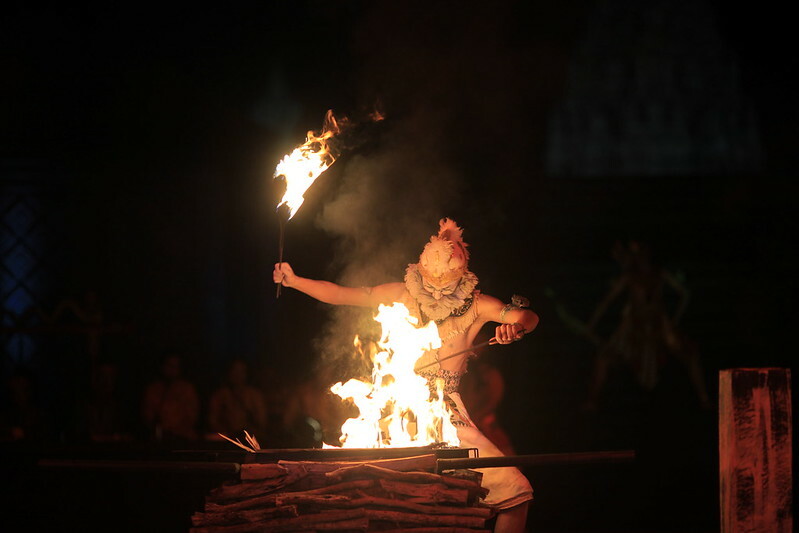 The massive production features over 200 actors, all of whom are skilled in the art of Javanese dance, which emphasises precise yet graceful movements that are spellbinding to watch. The story starts with Rama Wijaya, the prince of Ayodya Kingdom, winning the hand of a beautiful princess named Dewi Sita, through an archery competition. 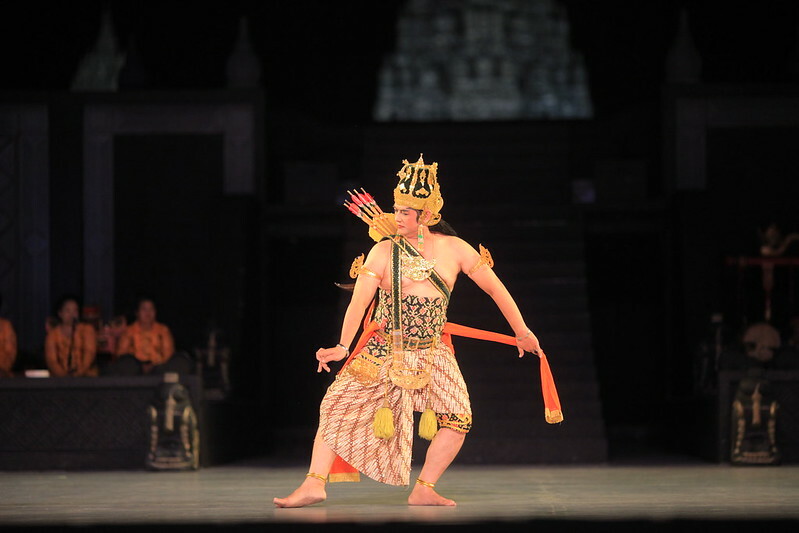 However, the evil ruler of Alengkadiraja, Prabu Rawana, is eager to marry Sita himself. The scene transitions to Dandaka Forest, where Rama, Sita and Rama’s younger brother, Laksmana, are out on an adventure. Rawana sees this as the perfect chance to capture Sita, so he orders one of his followers to change into a golden deer to attract her attention. Sita is awed by its beauty and asks Rama to catch it, which he obliges. After waiting for a long time, she grows worried and begs Laksmana to look for him. Before leaving, he draws a magic circle to protect her. As soon as she is left alone, Rawana disguises himself as a beggar and lures the innocent, kind Sita out before capturing her and flying off to his own kingdom. Rama eventually realises he has been tricked when the deer transforms back into an evil giant. He manages to kill it, and upon rushing back, realises that Sita has gone missing. The brothers set off to search for her. Meanwhile, Rawana carrying Sita meets a mystical bird, Jatayu, who realises she is being kidnapped. There is a fight to save her but ultimately, the bird falls prey to the demon king. As he lay dying, the brothers arrive and find out that it is Rawana who has spirited Sita away. Moments later, a white monkey named Hanuman arrives. Hanuman is searching for heroes to help kill Subali, a member of his tribe who has taken his uncle’s woman by force. Rama decides to help, and after helping the monkey kingdom solve their problems, Hanuman is sent to help Rama in his quest. In the kingdom of Alengka, Sita is being held against her will. Rawana’s niece, Trijata, comes to comfort her in the garden. Rawana arrives and asks Sita to be his wife, which she refuses. This drives him into a fit of rage, but Trijata convinces him to spare her, after which he leaves. As Sita laments her predicament, she hears a song sung by Hanuman, who explains that he is there on the orders of her husband. Hanuman destroys the garden, but is no match for Rawana’s son Indrajit, who captures him and sentences him to be burnt alive. Just before Hanuman is set on fire, he escapes and turns the tide, burning down the kingdom. Hanuman makes his way just outside the burning kingdom, where Rama and the rest of the ape troops are waiting. After receiving the report on troop strength, Rama commands Hanuman and other monkey generals to lead the troop on an attack on the kingdom of Alengka. The war results in the deaths of both Rawana’s son, Indarjit, and his younger brother Kumbakarna. Rawana finally leads his troops to face Rama and a battle ensues. Of course, the hero triumphs, killing the evil demon king with an arrow, before Hanuman drops a mountain (yes, a mountain – Mount Sumawana) on Rawana’s body. Sita is finally rescued, but Rama refuses to accept her (kinda lol since he came all this way to save her and all, wut) until she proves her purity. To show her innocence, Sita burns herself, and with the help of the God of Fire, walks out unscathed. Her proof makes Rama happy and the pair lived happily ever after. I was truly awed by the grace and beauty of the dance, as well as how they recreated the Ramayana epic into such a mesmerising show. 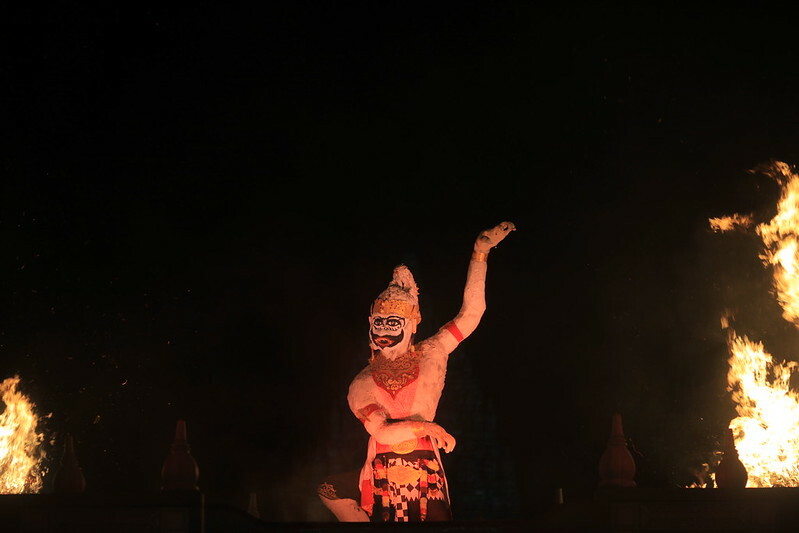 It’s something I admire greatly in Indonesia – they work hard to protect their culture and keep it alive, unlike in Malaysia where rising religious conservatism has resulted in some authorities ‘banning’ traditional arts, deeming them “against religion” (like the Mak Yong in Kelantan, a pre-Islamic Malay dance). A majority of Yogyakartans are Muslim, and they have two of the grandest ancient Buddhist and Hindu monuments in Southeast Asia, which are well maintained and kept as national treasures. I believe carrying on tradition and being proud of your heritage has no bearing on what you believe in, if you are truly a follower of the faith. 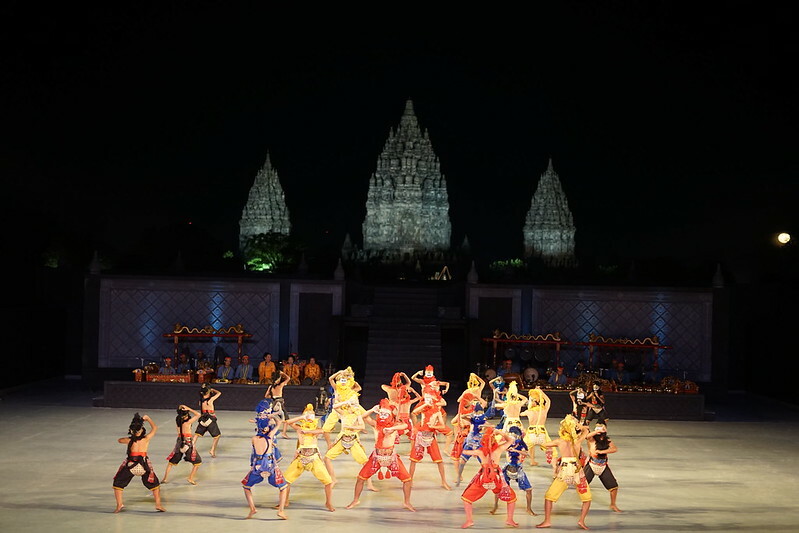 The Ramayana Ballet at Prambanan is held every alternate day. Tickets start from 125,000 IDR (RM35 – USD8 ) USD to 400,000 IDR (RM113 – USD27) depending on seating.